The Burleigh County commission approached Bismarck Parks and Recreation District to manage and operate components of the county park system. 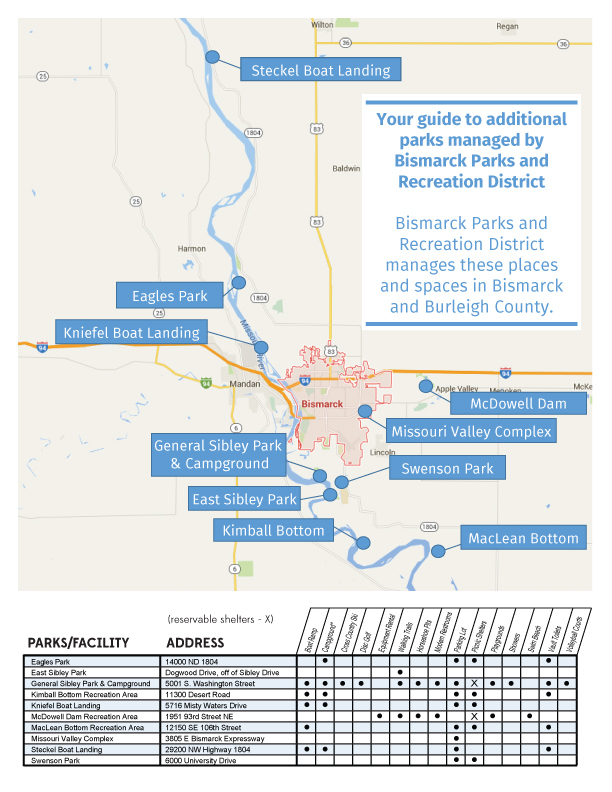 An agreement was signed in 2015, and includes language regarding a master plan – a roadmap – to deliver increased park and recreational opportunities to Bismarck/Burleigh County residents and visitors. See the map, below for the names/locations of these parks and boat ramps. 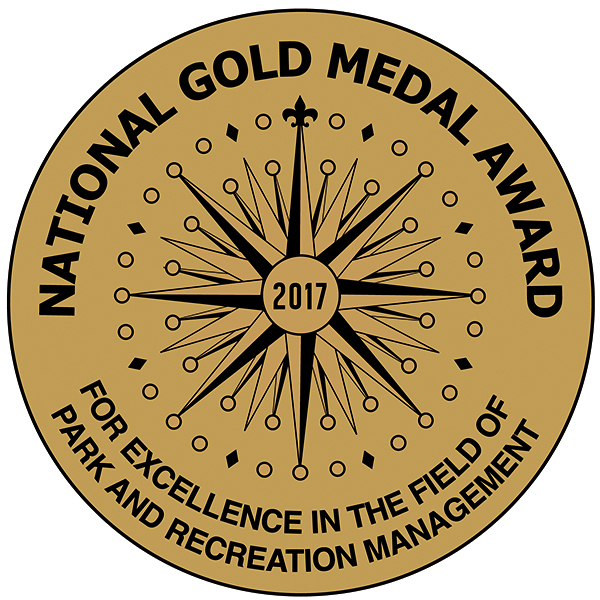 If you have any questions, don’t hesitate to contact Bismarck Parks and Recreation District at bisparks@bisparks.org.